Happy launch to Mollie over at Mollie Marrocco today! 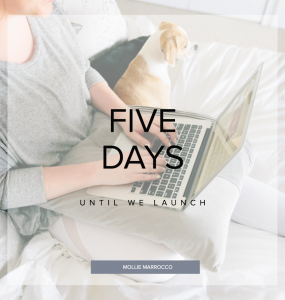 I met Mollie last year through a Facebook group when she was looking for help doing a few things on her website for Mollie Marrocco Events. 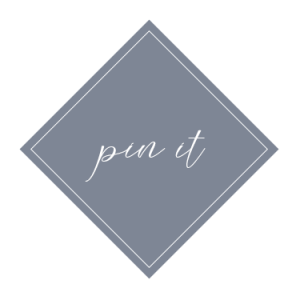 At the time she was a wedding planner but since then realize her passion was helping entrepreneurs bring their brand to life by clarifying their message and defining their writer’s voice. I cannot speak highly enough of her work. I have been working with her because although I can create some beautiful brands by bringing creative entrepreneur’s vision to life words do not come easily to me. In order to really get to know me and my brand, she put me through her Copy & Brand Intensive. She has been instrumental in helping me find my brand voice and I cannot wait to see the final copy for my new website that is set to launch in the next month or so. 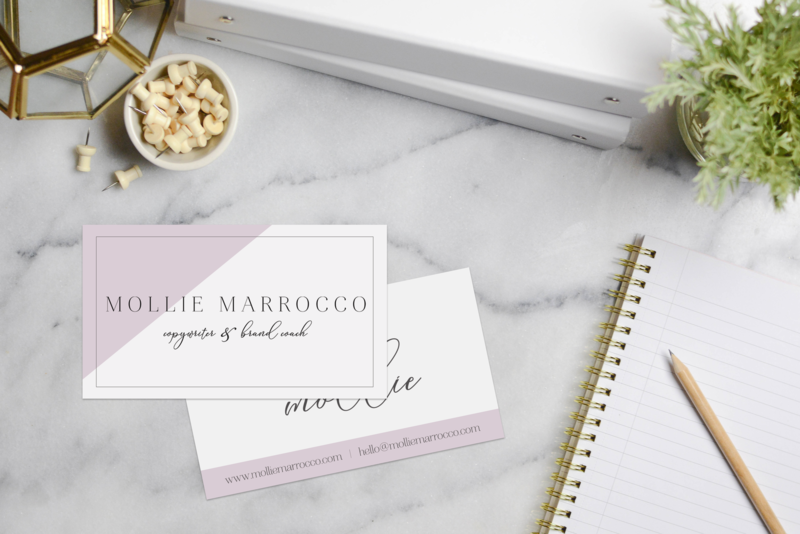 Finally, here is Mollie’s brand and some sneak peeks of the Mollie Marrocco website that just launched yesterday! Of course, you can click on over to her new website to see the design in action! I hope you love it as much as I do! 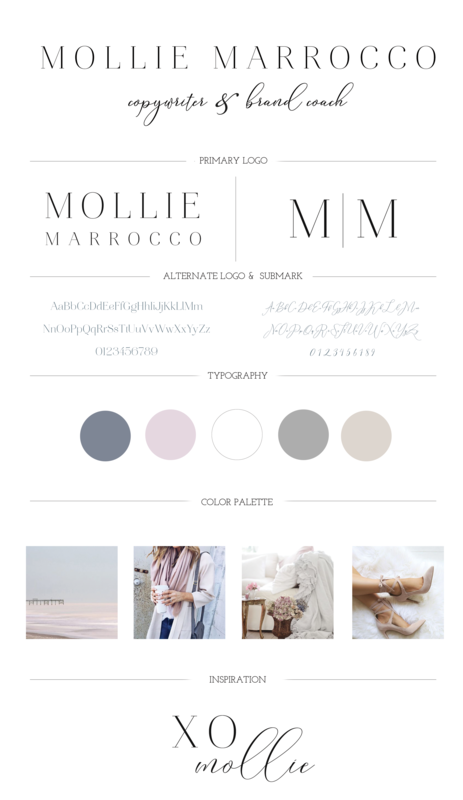 The design process started with an in-depth homework for Mollie to answer many questions about the vision for Mollie Marrocco. Some of the questions included detailed information about aesthetics, ideal clients, and future goals. 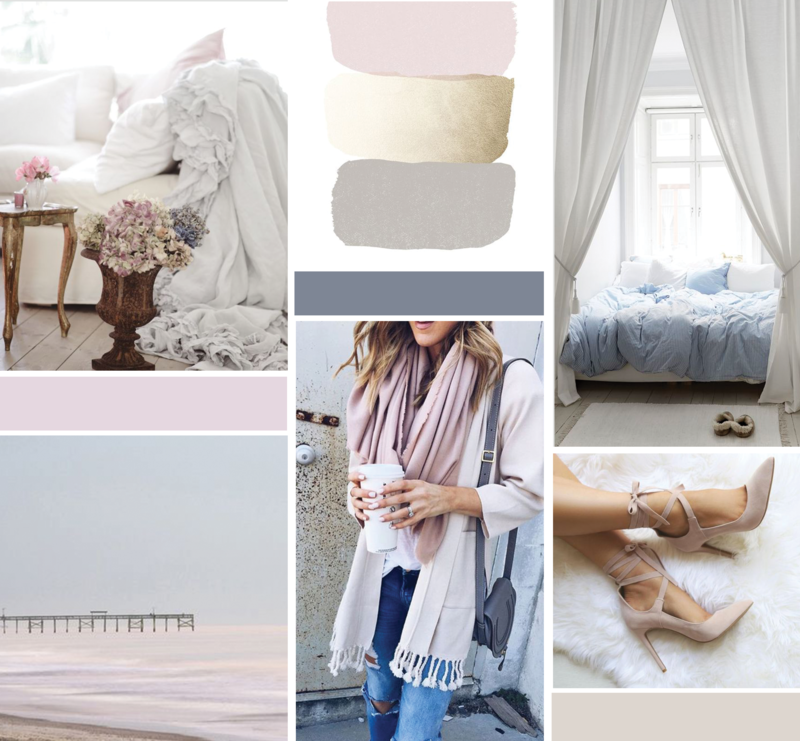 Once the mood board was designed and approved, I started on the logo design. Mollie did not have anything specific in mind, which created a lot of room for my creativity to really kick in and play around with some ideas. Once we had the main logo perfected, an alternate logo and submark was created. Finally, I concluded the collateral branding elements with launch graphics so she and those closest to her could promote her new adventure in a beautiful and elegant way! I absolutely adore each and every detail of her website. I was so excited to incorporate as many little details as I could — from script headings to the scrolling lists. Be sure to head over to her site to see it live in action! 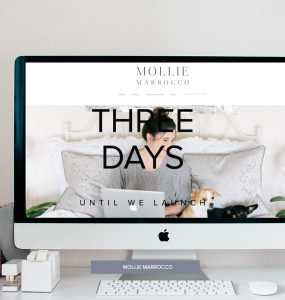 I hope you’ll take a moment to visit Mollie over at Mollie Marrocco today! I am certain that if you are either looking for someone to guide you with your brand voice you will love her and will be amazing at how well she will dig deep and find your brand voice.